Some things don’t change. Andy Dalton and the Cincinnati Bengals always get bounced in the wild card round of the playoffs, and this time it was Andrew Luck and the Indianapolis Colts in a 26-10 that extended this long and sometimes difficult to explain playoff struggle, which sheds a negative light on prolonged regular season success. Andy Dalton is a serviceable quarterback. He won’t lose you the game most of the time if you put him in the right situation, but he’s not going to win close playoff games that need something more than avoiding mistakes, although it’s something he does make too many times. Andrew Luck? He might be overworked but that’s the nature of being a franchise quarterback from even before you were out of college. And like you expect great quarterbacks to do, he delivered. Luck finished with 31-of-44 for 376 yards and one touchdown pass. That one TD throw changed the whole game, and pretty much ended it. In the third quarter, with the Colts leading by three, Luck took a big hit and was heading to the turf, but managed to release the ball with perfect timing to the corner of the end zone while Carlos Dunlap was taking him down. It didn’t matter. 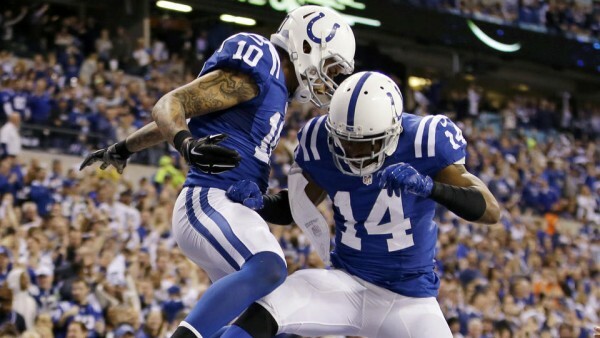 Donte Moncrief caught the pass, and the Colts finally had a two score edge which the Bengals couldn’t recover from. The Bengals began their next drive on the 20. Right off the gate, they went for the big play with a flea flicker. Dalton had Brandon Tate wide open in the middle, but as Dalton usually does in these situations, he messed up. Greg Toler raced over to break up the pass and deny the score. 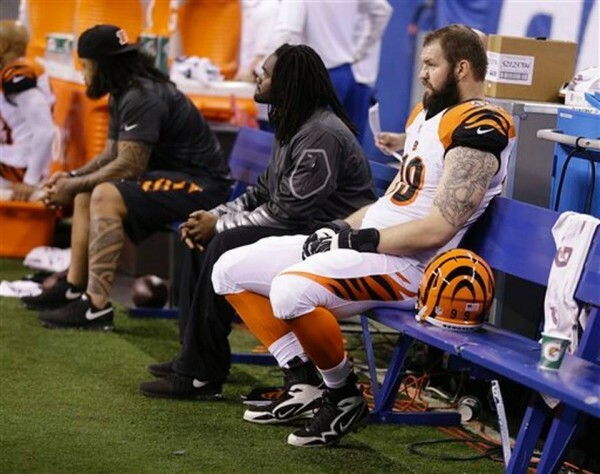 The Bengals never bounced back from losing out on that scoring opportunity. The drive fizzled to a three and out, and never came close to scoring again. Over the last four seasons the Bengals have won 40 regular season games. They’ve been to the playoffs five times in the last six seasons. And yet Marvin Lewis can’t get to taste postseason success. Andy Dalton joins Warren Moon as the only quarterbacks to lose in the first game of the playoffs four times in a row. The Bengals are the first team in NFL history to lose four consecutive opening round playoff games. Lewis joins Marty Schottenheimer, Jim Mora and Steven Owen for most consecutive playoff losses by a head coach, currently at six. And the story of Andrew Luck and the Colts? It keeps growing, even though this is a team with serious flaws. The running game didn’t do too badly for once, but the Denver Broncos defense has been difficult for them already this season. A second time is an opportunity to show for several people on the Colts that they can learn. Each season under Luck has been progressive. Making the playoffs, making and winning a playoff game, and now maybe showing they can make a run for the Super Bowl. They still need to beat Peyton Manning and the Broncos in Denver to make it happen. The Bengals, despite all of their regular season success, might have hit a roadblock which they way down begins from now. Their defense deteriorated this season, which might have something to do with switching defensive coordinators. Marvin Lewis has been with this franchise for a long time, but there seems to be a limit to what he can do. Was someone else going to do any better? That’s a question that will be answered in the next few days. And there’s Andy Dalton himself. He already got the big extension, but just like many others, failed to raise his game accordingly with the money bump he received. He’s not the only reason the Bengals haven’t been to the second round of the playoffs, but his inability to become more than just an OK, regular quarterback might be holding this team back. It’s a lot more complicated than just “Dalton is bad, we bad too” because the Bengals are doing so well before the turn of the year. But maybe a drastic change is necessary, because settling for just this is something no one wants.